I know I’ve said it before, but I can’t resist saying it again. I love LoVe LOVE muffins! They are a little bundle of morning delight. 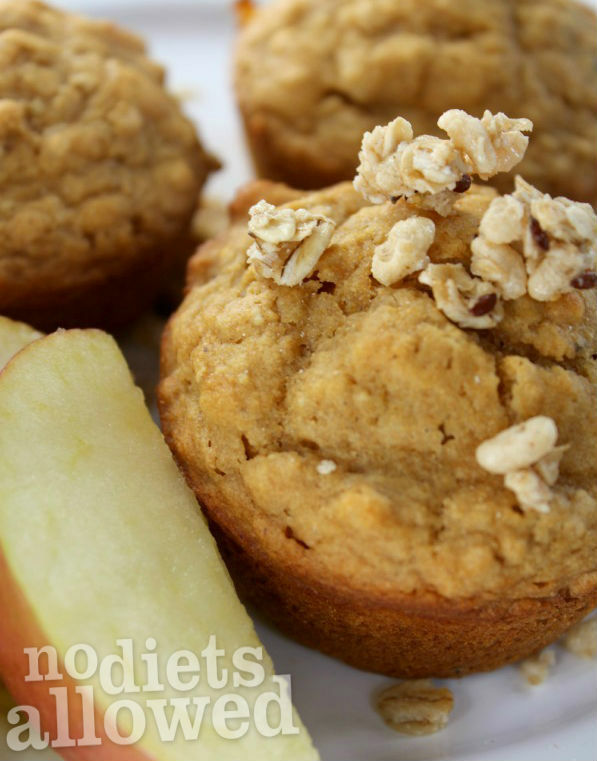 I know you just rolled your eyes at me, BUT I can’t hide my feelings about these Peach Muffins. 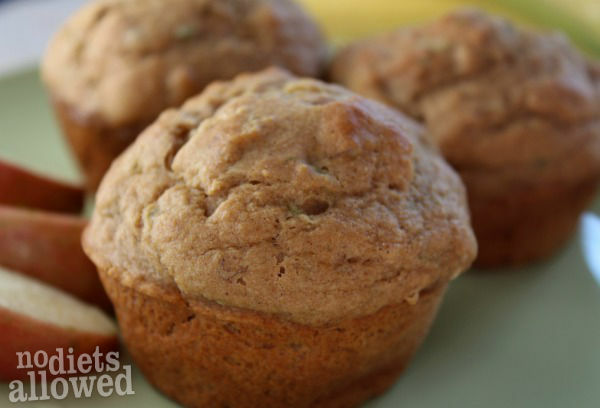 They’re light, fluffy, flavorful and moist… what else could you possible want for breakfast? In a large bowl, combine flour, oats, flaxseed meal, baking powder, baking soda, and salt. Stir well. In a blender, add peaches, honey, olive oil, milk, and vanilla. Blend until smooth approximately 30 seconds. Pour wet ingredients into the dry ingredients and mix well. 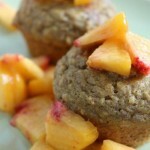 In a lightly greased muffin pan, pour about 1/3 cup batter into each muffin cup. Bake for 15 to 20 minutes until a toothpick comes out clean. The tops will be slightly golden brown. Don’t worry! I have more muffins to share with you. Peaches are the best, thanks for sharing this recipe! Thanks, Emily! I couldn’t agree more. Thanks, Amber! My whole mission is to make healthy food taste delicious! Those looks amazing! I can’t wait to make these. Pinned! Thanks, Leanne! Let me know what you think of them. I love peaches in the Fall. These look delicious! I have to try these this week! Let me know what you think, Audra! I am sure my husband would love this recipe! Do you think they would work with another kind of fruit? Maybe something similar like nectarines? Strangely enough, I am allergic to peaches, but I would love to try these with a fruit substitute! Allergic to peaches?!?! I’m so sorry. Yes, I think nectarines would work great. You also could just try applesauce although that would be a completely different flavor. We just made a peach crumb topped muffin last week. These look delicious! Ooooh… that sounds delicious too! I’ll definitely try them out.